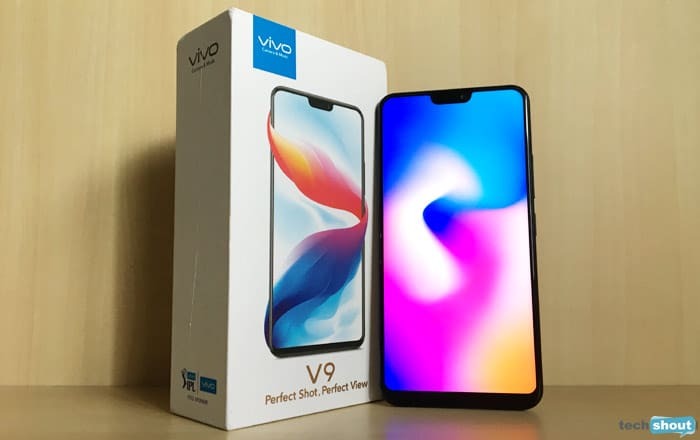 The Vivo V9 has got a lot to offer within its tall 6.3-inch frame, from its 24MP selfie camera to its FullView Display. After spending some time with the phone, we’ve narrowed things down and put together a list of its top 5 features to help you decide if it’s worth your hard-earned cash. Vivo’s priced the V9 at Rs 22990 and is selling it in Pearl Black and Gold color options. You can buy it via Flipkart and Amazon India, as well as offline outlets. 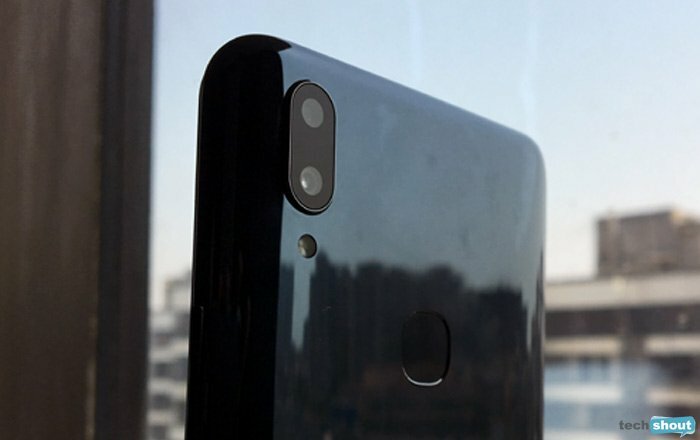 The Vivo V9’s 24MP front-facing camera comes with a side of artificial intelligence, using a tool called AI Face Beauty to pick up on your skin tone and texture, age, gender, and external lighting conditions to capture flawless selfies. The software generally worked no matter where we took the image, including indoors under artificial light, outdoors under bright sunshine, and dark surroundings. Here to appeal to the Snapchat crowd is a tool called AR Stickers which adds fun animated stickers to your photos. Options range from dog ears and cat whiskers to regal crowns and colorful turbans. You can also use Portrait bokeh to make yourself stand out by blurring out the background. Clicking selfies isn’t the only purpose of the V9’s AI-enhanced 24MP shooter. 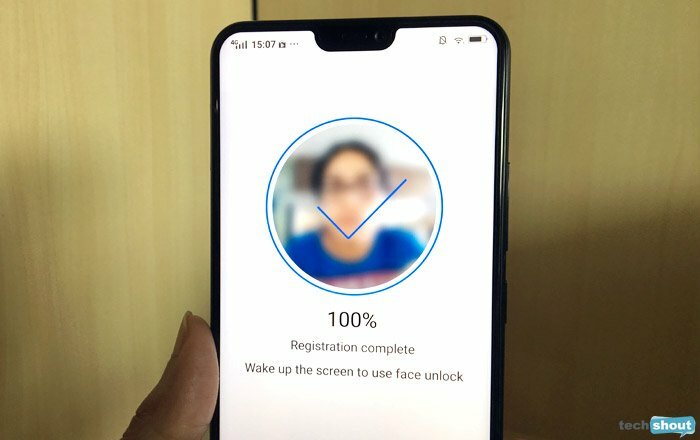 It also allows you to unlock the device using your face. The technology is supposed to detect light-reflected surfaces and subtle facial movements to stop people from tricking it. We couldn’t get it to unlock using photos, so that’s a big plus. 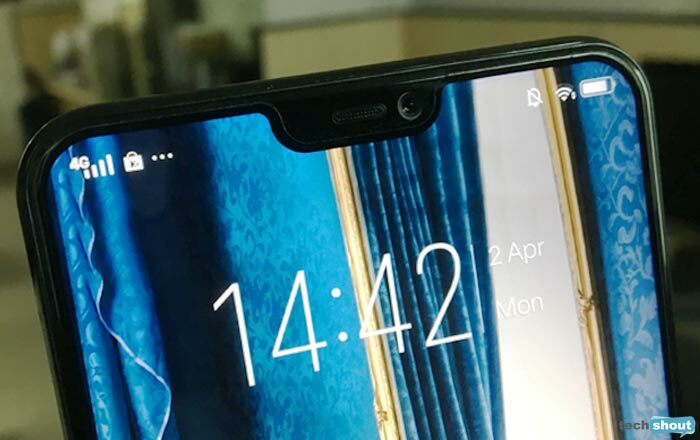 It took less than a second for the Vivo smartphone to open up via Face Access, putting it on-par with the fingerprint scanner at the back. It also comes in useful in other areas such as locking apps and lowering the volume of notifications, alarms and calls when it detects you looking at the handset. The V9’s 16MP main and 5MP secondary dual rear camera setup has also benefitted from a dose of AI. Specifically, an AI Bokeh algorithm which takes advantage of machine learning to blur out background clutter and bring the foreground in focus. This can be done before and after the shot has been clicked. Artificial intelligence has even made its way into HDR, with the AI HDR feature promising well-exposed photos no matter the lighting environment. Photography is definitely a strong point of the V9, since nearly all our photos came out looking great in dark and light surroundings with and without the bokeh effect. 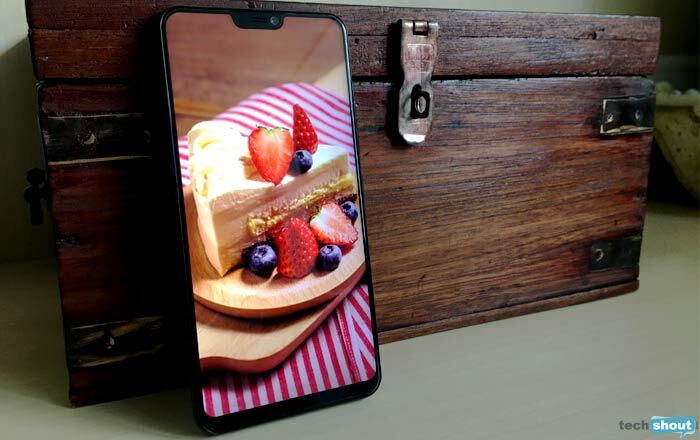 The 6.3-inch 19:9 FHD+ screen is easily one of the most striking things about the Vivo V9. It has a huge 90% screen-to-body ratio which lets it have the same size footprint as a 5.5-inch phone. The iPhone X-esque notch at the top does interrupt the flow of the bezel-less display a bit, but it’s not particularly intrusive on a daily basis. The status icons remain by the notch’s side in most apps, so it’s more like an elevated status bar with a small cutout in between. It doesn’t intrude into photos and videos unless you zoom and fill up all available space. 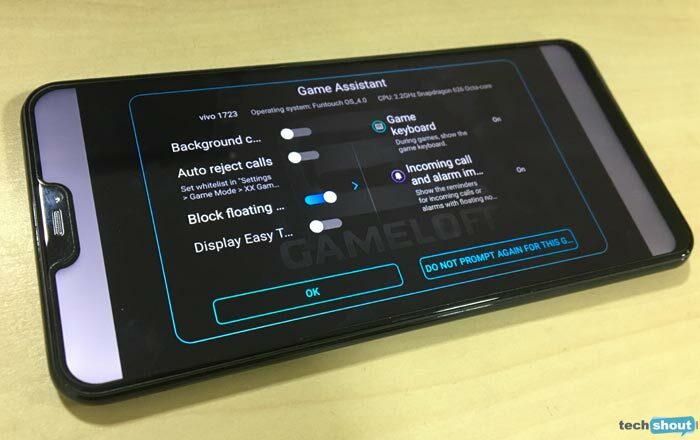 Vivo’s got a special Gaming Mode to help you play games without any unnecessary distractions. You can either choose to block all messages, alerts, and calls or only allow calls from certain people. If you do get a call, you can answer or reject it by swiping up while playing. Multitasking gamers will be happy to know that they just have to slide 3 fingers down to split the display into 2 parts. This way, they can continue playing on one screen and chat with a friend on the other. Vivo has even thrown in a special gaming keyboard which occupies a small part of the panel and leaves the rest to the game in progress.